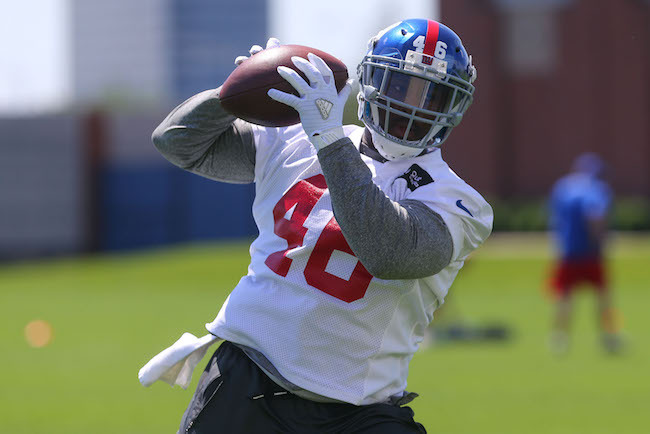 The Giants held their fifth and sixth voluntary organized team activity (OTA) practices on Thursday and Friday. The media was not granted access to these practices. No live contact is permitted during OTAs, but 7-on-7, 9-on-7, and 11-on-11 drills are allowed. The four remaining OTA practices will be held June 6-7 and June 9-10. The Giants will hold a mandatory, full-team mini-camp on June 14-16. The Giants held their fourth voluntary organized team activity (OTA) practice on Wednesday. No live contact is permitted during OTAs, but 7-on-7, 9-on-7, and 11-on-11 drills are allowed. The six remaining OTA practices will be held June 2-3, June 6-7, and June 9-10. The Giants will hold a mandatory, full-team mini-camp on June 14-16. The New York Giants have signed safety Darian Thompson, their 3rd round pick in the 2016 NFL Draft. Linebacker B.J. Goodson – the team’s 4th round pick – remains the only unsigned draft pick. As previously reported, safety Cooper Taylor had surgery in May repair a sports hernia injury and will be out until training camp begins on July 28. Continuing to work on the side were wide receiver Victor Cruz (calf) and running back Orleans Darkwa (leg). Defensive tackle Montori Hughes (unknown) did not practice. 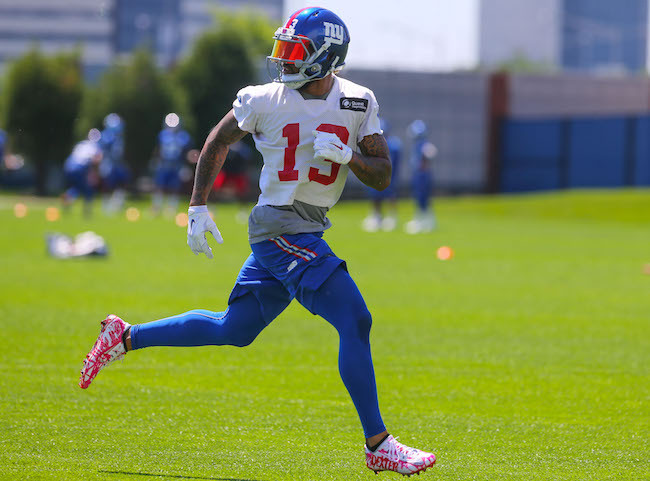 Wide receiver Odell Beckham, Jr. and defensive end Jason Pierre-Paul did not attend the voluntary practice on Wednesday. The first-team wide receivers were Geremy Davis and Myles White. Wide receiver Sterling Shepard also worked some with the first-team offense. The starting offensive line remains Ereck Flowers at left tackle, Justin Pugh at left guard, Weston Richburg at center, John Jerry at right guard, and Marshall Newhouse at right tackle. Adam Gettis was the center and Bobby Hart the right tackle with the second unit. Center Shane McDermott received first-team reps at right tackle, right guard, center, left guard, and left tackle during walk-through team drills. Tight end Matt LaCosse saw some first-team reps and made some plays. The first-team defensive ends were Owamagbe Odighizuwa (left) and Olivier Vernon (right). The starting linebackers were Jasper Brinkley (middle), Jonathan Casillas, and Devon Kennard. Cornerbacks Janoris Jenkins, Eli Apple, and Dominique Rodgers-Cromartie all worked with the first-team defense. Trevin Wade received reps as slot corner with the first team. Cornerback Donte Deayon made a couple of nice plays in team drills. Landon Collins, Darian Thompson, and Nat Berhe saw time with the first unit at safety. Linebacker B.J. Goodson made a juggling, diving interception. New York Giants General Manager Jerry Reese, Head Coach Ben McAdoo, and Chairman/Executive Vice President Steve Tisch each weighed in on the team’s offseason at the NFL spring meetings in Florida on Monday. Thus far, the Giants have signed defensive end Olivier Vernon (5-Years, $85 million), defensive tackle Damon Harrison (5-years, $46.25 million), and cornerback Janoris Jenkins (5-years, $62.5 million) to high-priced deals from other teams. The Giants have also signed linebacker Keenan Robinson (1-Year, $3.5 million) and re-signed defensive Jason Pierre-Paul (1-Year, $10.5 million) and linebacker Jasper Brinkley (1-Year). “I’m excited,” Tisch said. “I think it’s the right time to make these moves, these acquisitions. I think it’s sort of a perfect storm of new head coach, a lot of money to spend and some great players to bring onto the Giants, so I’m excited, I’m very excited. I think it’s going to make everybody from ownership on down excited about the 2016 season. I think you’ll see the enthusiasm at training camp, I think in the locker room, I think on the field. I know that Eli (Manning) is very excited. I know a number of the other veteran players are excited. It’s all about the fans, and the fans are thrilled. If we can improve this club in 2016, I can’t think of anything that’s going to make the fans and the Giants family happier. Tisch was also asked about the team’s new head coach. 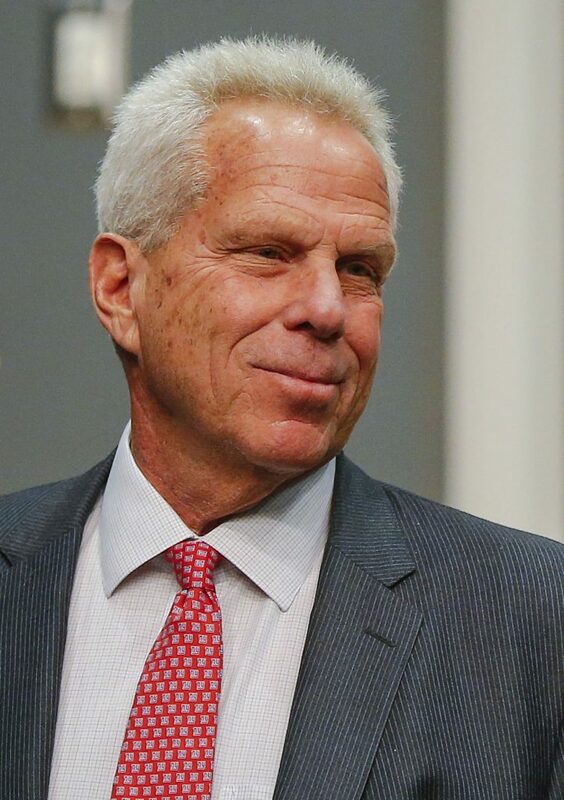 A video of Tisch’s remarks is available at Giants.com. The National Football Post reports that tight end Jerome Cunningham and offensive guard Adam Gettis have signed their exclusive rights free agent tenders. Safety/cornerback Bennett Jackson signed his tender earlier this month. Other exclusive rights free agents who have yet to sign their tenders include running back Orleans Darkwa, wide receiver Myles White, tight end Will Tye, and punter Brad Wing. The Giants signed Gettis from the Practice Squad of the Oakland Raiders in December 2015 and he was on the active roster for the regular-season finale. 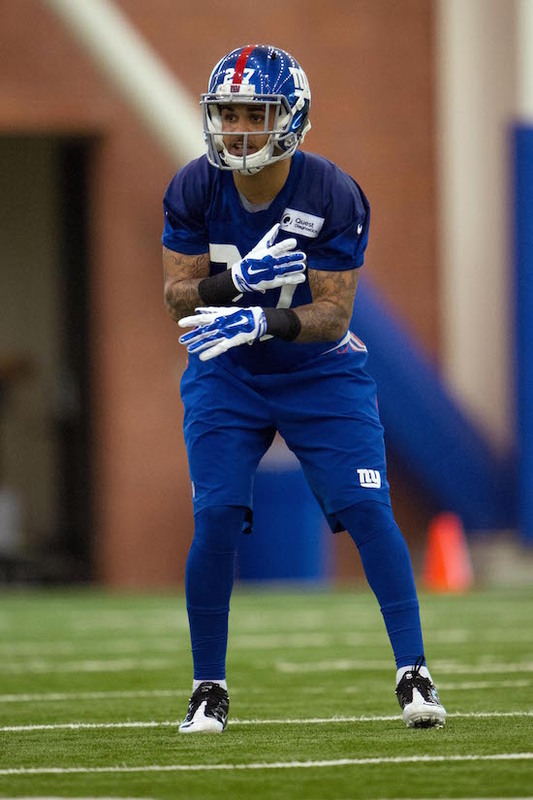 Gettis spent two stints on the Giants’ Practice Squad earlier in the 2015 season (September 6 – October 15 and October 21 – November 4) before signing with Oakland. Gettis was originally drafted in the 5th round of the 2012 NFL Draft by the Washington Redskins. The Redskins waived Gettis in August 2014. 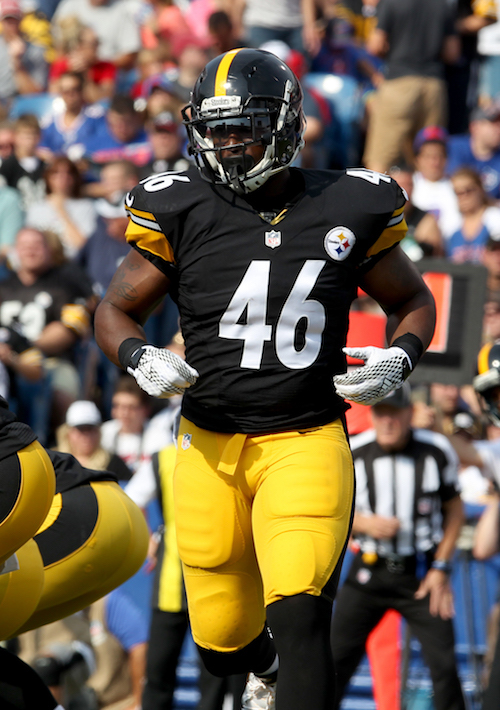 The Giants signed him off of the Practice Squad of the Pittsburgh Steelers in December 2014. 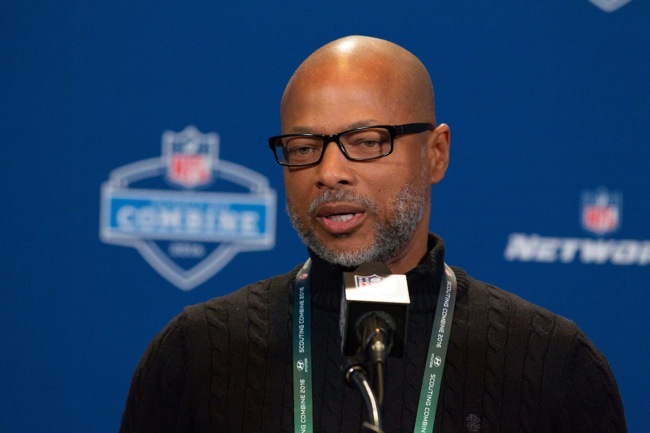 New York Giants Senior Vice President and General Manager Jerry Reese addressed the press at the NFL Combine in Indianapolis on Thursday. The video of the media session is also available at Giants.com. Good afternoon. We finally got our coaching staff together – got a full roster of coaches now. Coach McAdoo and the coaches have hit the ground running and they’ve been working hard looking at free agents and obviously starting on the Draft. Our personnel department is working hard as well. Our scouts are here and our pro personnel guys are working hard on free agency back at Quest (Quest Diagnostics Training Center). I’ll open up for any questions. Q: Is one of the challenges of having a lot of cap space are that maybe the best players don’t make it to the market? A: Well whoever makes it to the market makes it to the market. We have a little bit of money to spend this time, and we’ll try to spend it wisely on the players that make it to the market. I’m sure there will be plenty of players that don’t make it, people try to keep their best players. But whoever is out there, we’ll try our best to get some of the best players available. Q: When it comes to the draft right now, are you thinking more you’re going to go with the best available player or you’re going to go with a need position? A: We’re going to try to go with the best player available. Q: What’s your evaluation of the running back position group on your roster as it stands? A: Our running backs on our roster as it stands? We have some solid runners on our roster. We have four good guys, I think we have four pros on our roster. We’ll continue to look in the draft, look in free agency, but we think we have four capable guys. Q: You have 50 or 60 million dollars under the salary cap, what is it you try to accomplish in free agency with that space? A: We’re going to try to get good players. Like always, we’ll try to look out there and see what’s available for us. First, see who hits the market, and we’ll try to get the best players available. Q: What are the Lions getting in Matt Harriss, and how excited are you to replace him with a guy like Martin Mayhew? A: Matt Harriss is a guy that cut his teeth with us. Young kid that came in and really did a tremendous job. We’re happy and proud for him that he’s going over to the Lions, they really have a good employee with Matt. He’ll do a tremendous job for the Lions. In turn, we were able to hire Martin Mayhew, who is completely qualified to do any job in the front office. We think he’ll bring a lot to the table for us. Q: With that money you have available, is extending some of the younger guys you have on your roster something you would consider doing? A: Yeah, we’ll keep all our options open with respect to that. Q: Just like shopping, the more you have, the more counters you can go to. Do you think you can be a big player for a certain number of guys if you wanted to? A: Again, we’re pretty healthy with our cap situation right now. We have to wait and see who’s going to hit the market. We’ll definitely look in the market and see if there’s players available for us to recruit. Hopefully we will be able to land some guys if some guys are available. Q: Ben said yesterday Victor Cruz will absolutely be on the roster. First, do you agree with that? Second, do you anticipate any sort of restructure? A: I’m not going to talk about the contract. Victor is under contract right now. Victor is working hard to get healthy. From everything I understand right now, he’s headed in the right direction and we’ll worry about the contract. But right now, he’s under contract. I’m not really going to talk about the contract situation with Victor right now. Q: Do you expect he’ll be back? A: Well he’s under contract right now. We’ll see where the process goes. Q: Do you have any updates on the health status of Mykkele Thompson? A: Well Mykkele Thompson, he blew out his achilles during the preseason. Everything right now, he’s getting closer, he’s working hard. Actually we had three safeties to go out before the regular season started — Mykkele Thompson, Bennett (Jackson), and (Nat) Berhe — those three young guys. So we’re hoping those guys can come back and be healthy and help us out in the secondary. Q: At the end of the season you talked about analyzing the draft process and how you guys did that and there could be changes there. Were you able to implement anything or a little bit too quick of a turn around? A: We’ve looked at a few things of how we’ve operated with respect to the draft. We’ll try to implement some things as we go through draft, yeah. Q: Ben talked a lot yesterday about the run game. What’s your thoughts on the run game right now? Do guys like Andre Williams and Orleans Darkwa have a future here in New York? A: The run game came on late the last quarter of the season. I thought the run game came on pretty strong. Hopefully we can carry over into next season and keep the run game. I think that was part of the late season, along with some defensive issues. I didn’t think we were able to run the ball like you should to close those games out. Rashad Jennings had more carries and got in a better rhythm. I think the run game will continue to progress and help us into the next season. Q: When you look at your roster during free agency and the draft, what do you need? A: We need good players, that’s what we need the most. We need good players, and we’ll try to look for good players at every level—offense, defense and special teams. That’s what we’ll do, that’s what’s important to us. We need help all over the roster and we’ll work hard to do that. Q: Is signing an offensive lineman starter in free agency something you feel needs to be done now that you made those cuts last week? A: We may have the starter on the team right now. We’ll look for a good player in free agency in the offensive line, we’ll look for good players on the offensive line in the draft. Every position, draft and free agency, we’ll look for good players. 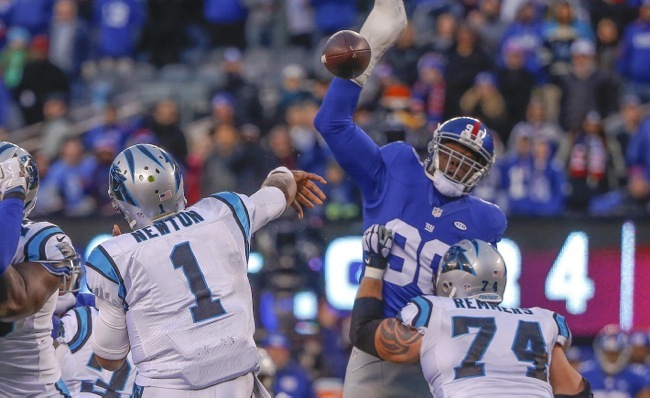 Q: With Johnathan Hankins last year looking back, was it even a bigger blow than you thought? Where is he physically? Do you still expect him to be a major contributor? A: Well yeah, it was tough to lose one of your big guys inside. No blow is like the blow we got in July when we got the news about Jason, that was probably the biggest blow going into the season. During the season, obviously when you lose a defensive tackle the caliber of Hankins, that’s a blow too. You got to have enough depth to continue to play football, and that’s what we need to do. We need to acquire more depth on our football team. Q: He was viewed going into last year as one of those young cornerstone players. Do you still see him like that? A: Yeah, he was doing a good job for us and unfortunately he had the injury. We hope that young guys like him can continue to develop and be good players for us for a long time. Q: In free agency, how do you assess the value of players that perform well but weren’t always on the field? A: It’s all a process. We look at what’s available in free agency, we look at what their value is to us, we look at what’s in the draft, and it’s all a process. It’s hard to explain to you exactly how we value those guys, and it’s not right to stand up here and talk about how we value players, because we don’t want to hurt anybody, any kind of way in free agency. A: Well we know him (Jason Pierre-Paul) better I think, than anybody else would know him. We’re hopeful that this procedure that he had after the season helps him with respect to the hand injury that he has. I know he’s working hard at it. After you look at that injury, it’s really, for me, people like to throw miracle around, I think it’s a miracle that he was able to walk out there and play eight games for us. It’s really unbelievable after you really see what happened to his hand. Q: Do you have any thoughts so far about Jason’s dispute with Adam Schefter? A: Whose dispute? No, I don’t want to comment. I don’t even know what you’re talking about. Q: Talking about releasing Jason’s medical files. A: Yeah, I’m not going to get into that. Q: When your roster when you look at it, does it feel like a 6-10 club or do you think you might have something better? A: Again, if we close out a couple of games, we could be 10-6 last season. We lost a lot of games close we had the lead going in late in the fourth quarter in a few games. We just didn’t close them out, and that’s for a number of reasons. It’s personnel, we made some bad decisions. But those kind of things — we couldn’t run the ball like we wanted to at the end of some games — and we just got to make some plays sometimes at the ends of games to close games out. A few plays here and there, we could be 10-6 instead of 6-10. That’s the way the National Football League is, there are not a lot of blowouts. You have to go in there and finish games out and we didn’t do that enough. We want to do that better this time. Q: How realistic do you think it is to fill all your needs in free agency and having the flexibility when it comes to the draft? A: This is the National Football League, you can get well pretty quickly in the National Football League. You can get players in free agency, you can get players in the draft, you can get players in trades. Again, we lost a lot of close games. A couple snaps here and there, our season could have went a different way, but it didn’t. We have work to do obviously, but I think we’re close enough to believe that we can compete for the NFC East. I don’t think anybody is running away with it, I think the NFC East is a close division still. I think we can put together a team that can challenge for that NFC East crown next year. Q: Your evaluation of your group of tight ends and specifically, what is the status of Will Tye? A: Will Tye who came on, was on the practice squad, we brought him up and he really did a nice job for us. We expect him to continue to develop and grow and be a good piece for us at that position. Larry Donnell had the neck injury, he’s coming back and hopefully he’ll be able to continue to play. We’re expecting him to be back, but necks can be tricky so we’ll have to wait and see where that goes. There’s a couple of young tight ends on the roster that we like. Q: Is Donnell cleared right now? Q: Who are the young tight ends? A: There’s a kid named (Jerome) Cunningham…a kid named (Matt) LaCosse that’s on our roster right now. Q: Just following up on Larry…is that something that’s a long-term concern with him? A: Again, necks can be tricky and we’ll just see where it goes. We’ll respect what our doctors say about the neck and we’ll take extreme precaution with that. Hopefully he can get healthy and come back and continue his career. Q: Is Ereck Flowers your left tackle moving forward? A: Yeah, we think Ereck Flowers is a left tackle. We think he’s going to be our left tackle moving forward. He was up and down a little bit during the season. He really looked good at times, then he looked like a rookie at times. I think that rookie wall, I think he hit that at some point as well. But he’s a tough kid that stayed out there the whole time. Mike Solari is our new offensive line coach and we’re looking forward to see what he can do with him moving forward. Q: Does Pugh stay at guard in your mind or might he move back to tackle? A: Pugh is kind of flexible for us. He can play, obviously, both guard and both tackles. We’ll put him in the best place available for us to be successful. I’m not sure exactly where—that’s Coach McAdoo and Coach Solari—those guys will make that decision. ESPN.com is reporting that the Giants are interested in re-signing unrestricted free agent defensive ends Jason Pierre-Paul and Robert Ayers. The team is expected to meet with representatives of both players this week. NJ.com is reporting that while the Giants have expressed an interest in re-signing unrestricted free agent linebacker Jasper Brinkley, he is expected to hit the open market. The NFLPA has confirmed that $11,193,231 of the New York Giants’ unused 2015 salary cap has been carried over to 2016. The Giants are believed to be about $57 million under the current $154 million cap, though there are reports that the cap could be increased to $160 million. 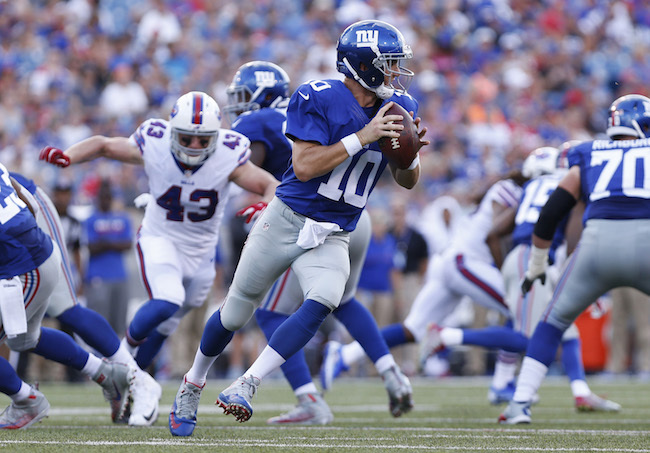 The Giants have the sixth-most space in the NFL after the Jaguars, Browns, Raiders, 49ers, and Titans. USA Today reports that an unidentified source has said that New York Giants defensive end Jason Pierre-Paul, who is scheduled to be an unrestricted free agent in March, is unlikely to re-sign with the team. The source told the paper “all signs point toward the Giants letting Pierre-Paul test free agency” and that “as of right now he isn’t going to be returning” to the Giants. 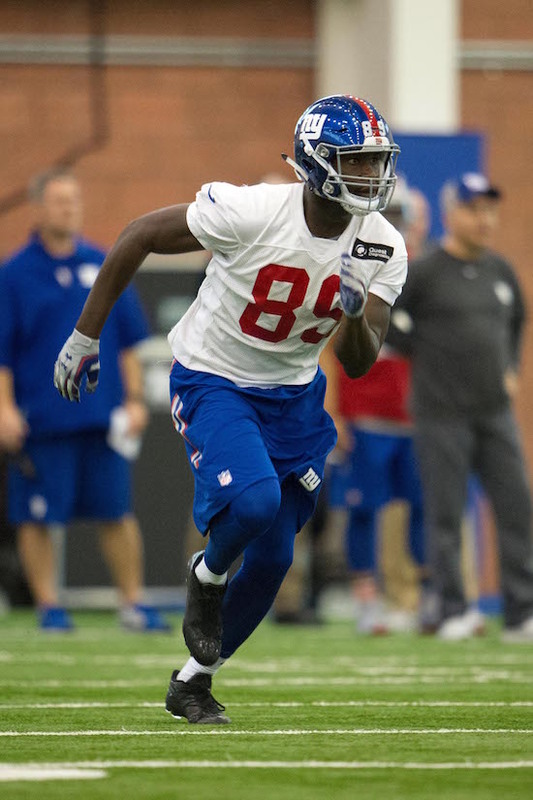 American Football International Review (AFI Review) reports that the New York Giants have signed wide receiver Anthony Dablé. The 6’5”, 215 pound, 27-year old, French wide receiver worked out for the Giants on Wednesday. AFI Review says Dablé was set to work out with another NFL team but the Giants managed to sign him to a minimum deal. Dablé played for the Braunschweig New Yorker Lions of the German Football League in 2015. He supposedly speaks French, German, and English. According to his team’s website, Dablé caught 145 passes for nearly 2,500 and 32 touchdowns in his two seasons with the New Yorker Lions. The Giants also reportedly worked out English tight end Harry Innis, but there was no word on if the Giants also offered him a contract. Innis is supposedly drawing interest from a number of NFL teams. New York Giants wide receiver Marcus Harris tweeted on Wednesday that he has been informed by the team that that they will not retain his services. The 27-year old Harris was scheduled to be an exclusive rights free agent in March had the team tendered him. Harris was placed on Injured Reserve in July 2015 after having microfracture surgery performed on his right knee. Harris also missed the entire 2014 season after being placed on IR in August 2014 with a hip injury that required surgery on his labrum. Harris was originally signed as an undrafted rookie free agent by the Detroit Lions after the 2011 NFL Draft. He has spent time with the Lions (2011), Tennessee Titans (2012), UFL Omaha Nighthawks (2012), and IFL Iowa Barnstormers (2013). 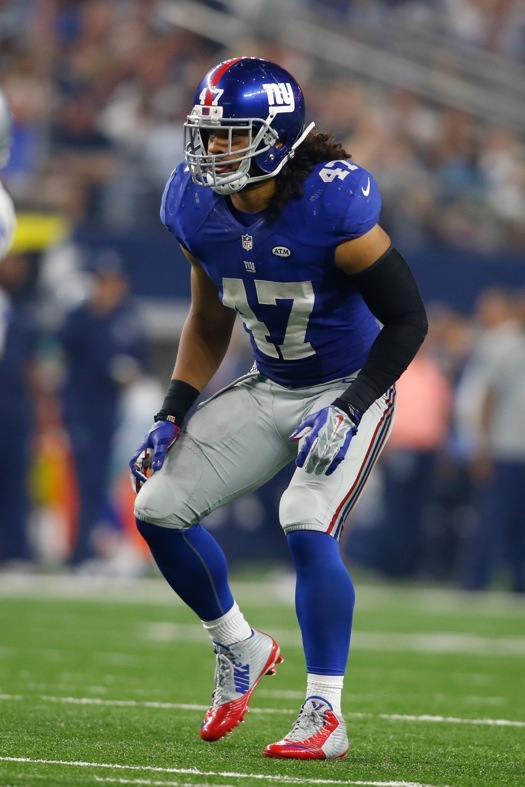 The Giants signed Harris as a street free agent in August 2013 and he spent most of the season on the team’s Practice Squad. To date, he has not played in an NFL game. In 2014, he flashed with the Giants during training camp and the preseason before getting injured, even earning time with the first-team offense. #TeamSoup, I was informed that I won't be signing back with the Giants in 2016, but don't think it's the end, I just started back cookin! !